Mrs Lynn, Mrs Leslie and myself would like to thank the parents for their gifts. We appreciate the sentiment but spending a week at camp with your children was gift enough! Leap of faith 10meters high wobbly wood. During kingswood we climbed wooden pole it was a bit scary at the top we jumped and catch a metel pole a few people missed it some got scared when they were half way up, Lewis thought it was fun same with me. In quad biking we had helmets and harness .In my opinion and lots of others I think it the quad biking track was rather small, they had two quite fast quads but in the end it was really fun! 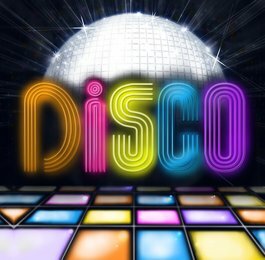 Last week when p4/7 were at camp the Thursday night P4/7 went to a disco. Most of the girl were dancing and some of the boy were too. Sarah ,Charlotte, Amber G,Naomi and Jesssica were all dancing together. But Amy G was dancing with this boy she met on Tuesday his name was John and Amy and John had a very fun time together . Dylan Brotherston did not like the disco at all =( 🙁 =( . Dylan said the good thing about the disco was when Dylan and Gabriel did the conga but apart from that DYLAN AND MOST OF THE BOYS HATED IT SOO BAD. boooooo. Sascha and the boys were sitting in the corner and talking about try to escape through a window (thats how bad they thought the disco was. I thought the disco was realy fun. And there was good songs for me and The other girls to dance too. M and Sarah really like the song the club is alive by JLS. Then at 9:00pm the disco was over and all of us went back to our dorm and got ready for bed.